Do you know someone who is CRAZY about one particular sports team? This #1 sports fan custom bobblehead can be personalized with team colors and made to look like the logos of various sports teams. He can be made holding a beer and with a foam finger or with other team paraphernalia; simply use the special instruction box. 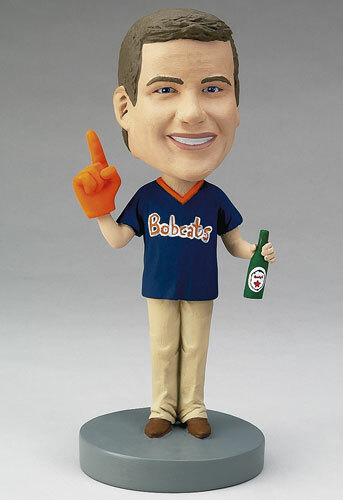 Whether you want to aggravate your friends by making them a bobblehead for their team's competitor or congratulate your friends on their team's success, this personalized doll is perfect!